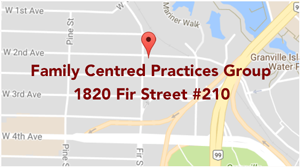 Family Centred Practices Group (FCPG) has been helping children and their families since 2002. 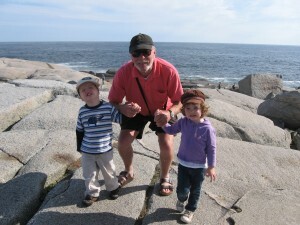 The agency was started by Dr. Gerard Kysela, a professor emeritus in the Department of Educational Psychology at the University of Alberta, who moved to Vancouver from Edmonton in 2001 to start the provincial Early Intensive Behavioural Intervention Program with the Ministry for Children and Family Development. In 2002, the Ministry began the Under 6 individual funding model for preschool children diagnosed on the Autism Spectrum and FCPG began developing home and community based programs for children and families. The program has always focused on a family centred philosophy where parents are active partners in their child’s intervention, while at the same time utilizing best practices drawn from the fields of Applied Behaviour Analysis and Developmental Psychology. Tina Linton, M.Ed., BCBA, Clinical Director, took over the company in 2008 and has grown the company to its current status serving over 120 children and their families from the early years into young adulthood. FCPG supports children diagnosed on the Autism Spectrum or related disabilities, as well as families of typical children in need of behavioural and/or educational supports. The consulting team has grown to include a group of almost 25 Behavioural Consultants who are either registered Board Certified Behaviour Analysts (BCBA), Board Certified assistant Behaviour Analysts (BCaBA) or who are in the process of obtaining their certification with the Behavior Analysis Certification Board. As of 2017 FCPG became Canada’s first and only Behavioural Health Centre of Excellence. For more information about this important accreditation please click here.